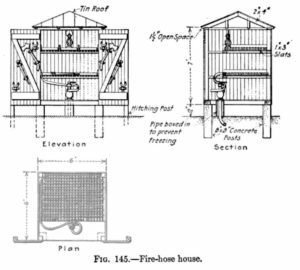 I found this drawing of a Baltimore and Ohio Railroad fire-house house in “Maintenance of Way Structures” by William Clyde Willard, pg. 276-278 pub. 1915. Where wood frame buildings were used along with coal or wood burning stoves this was an important. 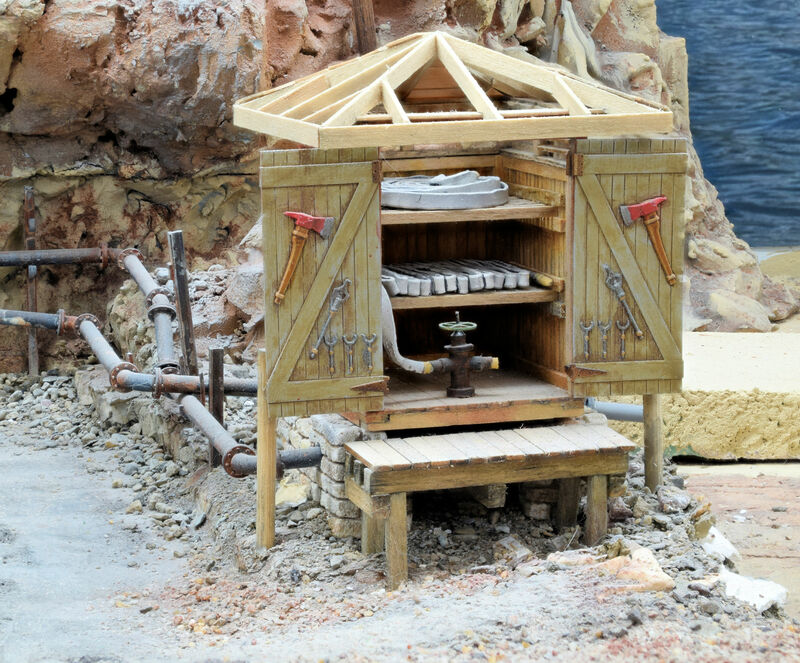 With a hose house over a yard hydrant, hoses could be kept connected and folded on shelves ready for immediate use. There are many variations – some of which can be found in the “Crosby-Fiske Handbook of Fire Protection” on pg. 222-230, pub. 1914, along with a list of equipment. 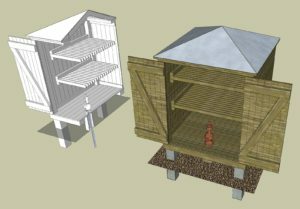 I re-created the hose-house in Sketchup. I think it came out pretty well. 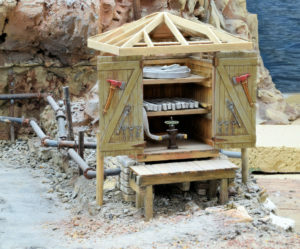 Some adjustments were made to allow it to be easier to build in O scale. Here’s the model exploded so all the bits and pieces can be seen. 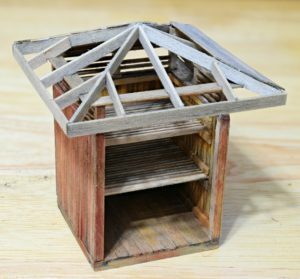 It is easier to ‘build’ the structure virtually before actually physically building a model. 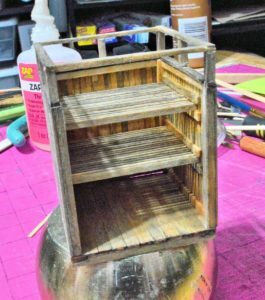 The body of the structure was created first, followed by the shelves. I managed to screw up some of the basic measurements and had to add a ventilated area above. The shelves are well ventilated so a wet hose could dry out. This is where drawing everything out in Sketchup really came into play. 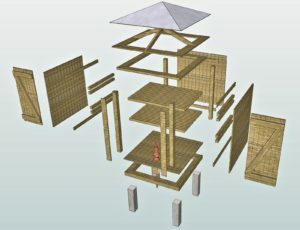 The angles and lengths of the .. to me .. complicated roof structure was completely drawn in Sketchup with each board a separate grouped object. Once complete it was relatively simple to print out all of the pieces as a template for cutting from basswood. This is where it is at for now. I left the roof open .. the plan being to put a few boards on and then have a couple of guys on ladders etc. replacing the roof .. the “why” the new framing. The doors and tools are all one piece that I had 3D printed. The hose is a piece of solder I flattened and painted white(ish).